Sony is always keen in surprising its lovers with something new. Last time they were in limelight by launching new Xperia X series. Now they have enhanced this series with a 6 inched Xperia XA Ultra smartphone. This new Xperia handset is intended to attract those users who are much fond of watching videos or films over smartphone or those who love photography. Through this article I would like to have an account on Xperia XA Ultra. The dimension of the new smartphone comes to be 6.46*3.13*0.33 inches with a weight of 190 grams. New Xperia XA Ultra supports nano-SIM with either single or dual SIM slots. Xperia XA Ultra holds a 6 inched IPS LCD capacitive touchscreen. This supports 16M colours. With a screen resolution of 1080*1920 pixels it supports Multi-touch facility. The display is again protected by scratch proof glass. Xperia XA Ultra is powered by Mediatek MT6755 Helio P10 processor. This Octa-core processor provides a processing speed of 2.0GHz with its Cortex-A53 chipsets. Further extensive graphics on the smartphone is supported by Mali-T860MP2. Xperia XA Ultra has got an internal storage capacity of 16GB along with a RAM of 3GB. This storage can be expanded upto 200GB with the help of microSD memory card which can be inserted to one of the dedicated slot. Users are allowed to interact with Xperia XA Ultra with the help of Android OS of v6.0.1 Marshmallow. Xperia XA Ultra has got an extensive primary snapper with a lens of 21.5MP. Other supported features include Phase Detection, Geo-Tagging, Touch Focus, HDR, Panorama and Autofocus. This primary snapper is backed with LED flash, which would ensure clear snaps even in dim lights. Videos can be recorded with clarity of 1080 pixels@30fps. The front cam is powered by a lens of 16MP. This snapper can also record video with clarity of 1080 pixels. The other supported features also include Autofocus, Optical Image Stabilization and LED flash. Xperia XA Ultra supports both 3G as well as 4G. Along with this like any other smartphone, this device also supports WiFi with 802.11 a/b/g/n and also Bluetooth of v4.1. It also supports GPS with A-GPS and GLONASS. The device has got a microUSB of v2.0 along with NFC connectivity. Xperia XA Ultra also supports sensors like Accelerometer, Proximity and Compass. Xperia XA Ultra keeps functioning with the help of Non-Removable Li-Ion battery. It has got a capacity of 2700mAh which will keep Xperia XA Ultra functioning for the day along. 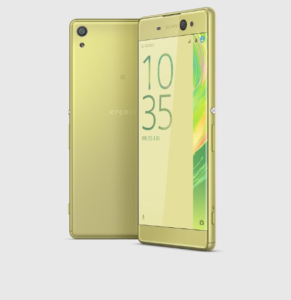 Xperia XA Ultra is available mainly in three colour options like White, Lime Gold and Graphite Black. The pricing details of this handset aren’t released yet. 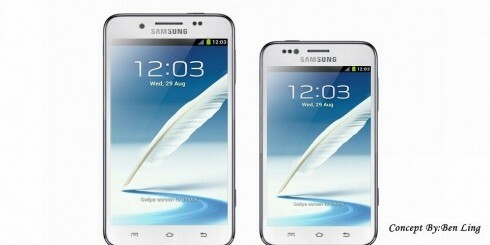 But this enormous smartphone with huge screen size and extensive camera will be tagged with a premium price. The company officials made it clear that Xperia XA Ultra will be available in shops by July.